Deontay Wilder's team are willing to resume negotiations for the Anthony Joshua fight immediately after the WBC champion faces Tyson Fury. Wilder will make the next defence of his WBC heavyweight title against Fury in Los Angeles on December 1, with unified champion Joshua eager to battle the winner for the right to become undisputed champion. And the American's co-manager Shelly Finkel is open to restarting talks with Joshua's promoter Eddie Hearn straight away following Wilder's clash with Fury at the Staples Center. "After the fight, of course," Finkel told Sky Sports. "There's nothing to talk about before that. "After December 1, I would be glad to talk to him, or [his father] Barry [Hearn], or both." Asked if Wilder and Joshua can agree a fight for 2019, Finkel said: "That's up to them." 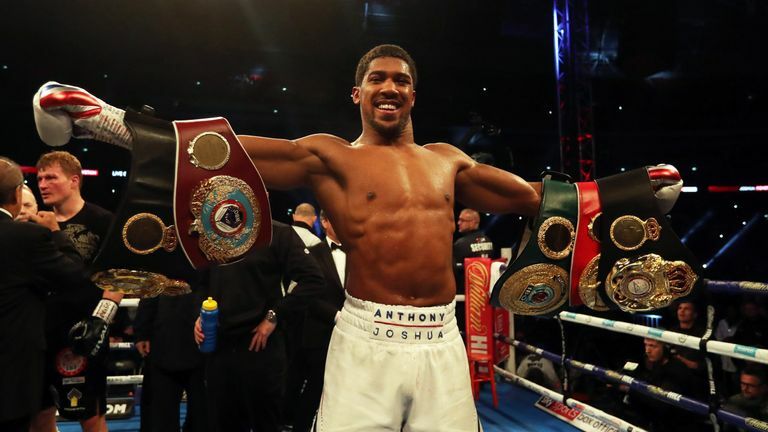 Joshua's next fight will be staged at Wembley on April 13 and Matchroom Boxing boss Hearn suggested at the weekend that he wanted to finalise a deal with Wilder shortly after the Fury fight had concluded. "I want to be in a position where, by December 1, we are done or almost done," he told Sky Sports. "We just have to watch the fight and sign the deal after."